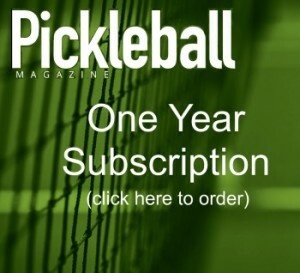 For the very first time in history, the sport of pickleball will have its own official magazine. Launching in January 2016 is The Pickleball Magazine. Pickleball Magazine will be produced by Dollard Publishing Inc. of Pittsburgh, PA.
think of in the world of pickleball. * Facility of the Month – Recognizing those outstanding places to play. It will be published 6 times a year and subscribing is easy. to your home for only $12 a year. NOT A MEMBER? JOIN the USAPA Today! Can’t wait to start receiving our copies. NO COUPONS OR ADDITIONAL DISCOUNTS MAY BE APPLIED. The Second Annual North Carolina Holiday Smash Pickleball Tournament was held on Saturday November 21st at the beautiful 16 court indoor facility at Carolina Courts in Concord, NC. 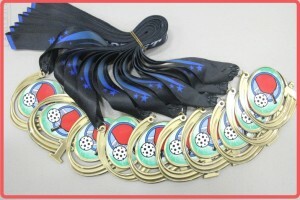 Teams from 5 South Eastern states completed for the gold in both age and skill groups. Tournament Director Bob Nibarger, who is also the USAPA Piedmont District Ambassador and JoAnnah Michael, USAPA Mountain District Ambassador, were the co-hosts for the tournament. This year all “back in” registrations and brackets were managed by PickleballTournaments.com, who according to Bob “did a fantastic job” with all the logistics. Bob recalls last year that he and Joe Borrelli, North Carolina Coastal District Ambassador, spent 4 hours in a McDonald’s booth doing the brackets on their laptops. The tournament next year will be a Round Robin and be held the Saturday before Thanksgiving on November 18th and 19th at Concord. 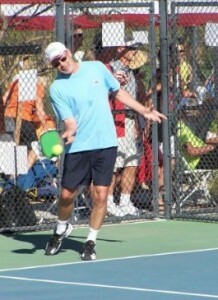 Visit the North Carolina Web page www.northcarolinapickleball.net for photos and information on this tourney and North Carolina Pickleball. The best paddle for a player wanting great control is always going to be a graphite faced paddle. Graphite is a very hard surface, so when the ball hits a paddle that has a graphite face (surface), the ball will deflect off that paddle instantly. In other words there is no “give” to the surface so the ball doesn’t sink into it. Where ever you point the paddle, that is the direction the ball will go. If you are familiar with tennis racquet strings, it is the same science for paddles (kinda). When you want greater control in a tennis racquet, you string it tight so the ball doesn’t sink into the strings very far. The ball leaves the strings quicker, rather than sitting on the strings for an extended period of time. Therefore it is easier to control and hit your target. If you want more power from a tennis racquet, you string it looser and the ball sinks into the strings and then is catapulted out as a high rate of speed. Just FYI, that concept for getting more power does NOT apply with pickleball paddles and here is why. Unlike tennis racquet strings which build up power as the ball hits the strings, sinks into them, and then is flung out, the face of a pickleball paddle works quite differently because the deflection is totally different. Yes the paddle “gives” (especially different thickness of fiberglass and the new carbon fiber and kevlars), but it rebounds back very slowly, more like a foam Tempur-pedic pillow than stretched tennis strings. A paddle face does not build up more power from the ball sitting on the paddle longer. Therefore, when you read deflection specifications for pickleball paddles, do not equate higher or lower deflection as a sure sign of more or less power. It just doesn’t work that way. Power and speed comes from a combination of many things, like weight distribution in the paddle head and handle, what the core of the paddle is made of, the size of the honeycomb compartments inside, and the various paddle face compositions. Anyhow, back to great control. 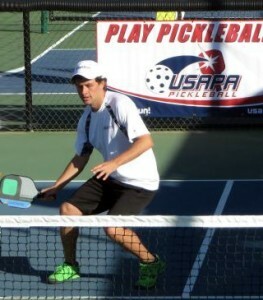 Since the pickleball doesn’t sit on the graphite paddle face very long, you do get an increased ability to have great control and it is easier to direct the ball to an exact spot on the court. 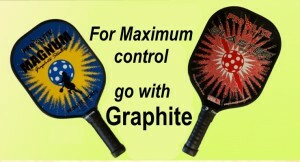 So if you want a great control paddle, look for a paddle with a graphite face. They will all say “Graphite” right on them. Since we are Pro-Lite Pickleball fans, we love and use the Blaster Graphite and the Magnum Graphite (the best selling graphite paddle of all time), but most manufacturers have one or more models with graphite faces. So find one that feels good to you. So, for you control enthusiasts (like us), until the paddle manufacturers come up with a diamond faced paddle (that would definitely be harder, but probably a tad more expensive), the graphite paddles will be the best for you. 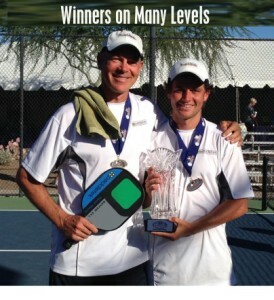 Keep us posted on your pickleball progress on the Pickleball Facebook page. We look forward to hearing the success stories.